South Africa’s Limpopo province has been called Africa’s Eden. This province in the northern part of the country offers wonderful opportunities for tourism. 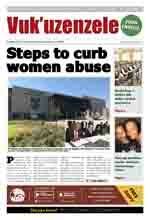 It was recently voted by a popular health magazine as the healthiest place to live in South Africa. Premier of Limpopo, Mr Sello Moloto, said Limpopo and KwaZulu-Natal were the only provinces in the country that showed growth in international tourism in 2005. He said tourism in the province showed a 1,3 per cent growth. and agricultural crops like mangoes, avocados, marulas and even grapes. 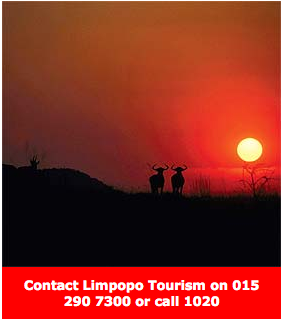 Limpopo is also home to the Mapungubwe World Heritage Site. It is situated on the southern edge of the Limpopo River and forms part of the Limpopo Transfrontier Park. has attracted many tourists - both local and from overseas - to the province. The provincial capital - Polo-kwane - is becoming an important centre for business conferences. This is because business people like to get away from the big cities to the peace and beauty of Limpopo. Moloto said the province had great possibilities to attract more tourists through its farming activities. He called on farmers in the province to keep this in mind to grow their businesses. The province is known for being the biggest producer of products like mangoes, marulas, avocados and tomatoes.